A1 Luxury Limo features the largest variety of Hummer limousines in south Florida in a wide range of exotic colors and designs that are sure to catch the eye of everyone you pass on the street. 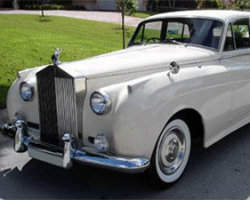 The company also includes a Rolls-Royce limousine in its fleet, making it one of the few limo companies in town able to book this exclusive and classic vehicle for special occasions. Imagine arriving to your wedding or any other special event in a car that is the very embodiment of style and class. With competitive rates and service 24 hours a day, A1 Luxury Limos will be one Miami limo service that you'll want to check out. 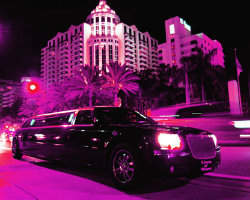 Limos of Miami could arguably be called the most comprehensive limo service in Miami, FL. While other limo companies boast that they feature a stretch limo or two, with perhaps a sedan thrown in for good measure, this company's extensive fleet of vehicles features limos, classic sedans, SUV's and even a luxury yacht to enjoy the Florida sun and surf. Their drivers are hired based on their ability to understand the importance of being on time and respectful in order to make your car rental experience the very best that it can be. 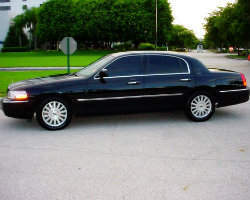 Those searching for a cheap limousine rental in Miami need search no further. Jessy's Limos is a safe and reliable alternate to the bigger car rental companies that seem to charge an arm and a leg for a night out in one of their rides. In business for over fifteen years, Jessy's is proud of the personal touch that it offers to its clients, who return again and again for the professional service it provides. Rent a stretch limo for your wedding or prom or use one of their cars as fast and convenient airport transportation. Either way, you'll arrive at your destination relaxed and on-time with Jessy's Limos. A2Z Limousine can rent help residents of south Florida or visitors to the area book the best vehicle for their needs at very affordable rates. This Miami limo service has beautiful cars and buses available for every occasion, with professional uniformed chauffeurs that are courteous and punctual. Their prices may seem cheap when they're compared to other limo companies, but A2Z assures its clients that they will receive a luxury car service experience with every booking they place. Whether it's for a wedding, prom or simply an indulgent shopping trip, A2Z Limos will work hard to make your journey something to remember. Ocean Drive Limousine has one of the largest fleets of leisure vehicles of any limo service in Miami. The company cars are available to pick you up 24 hours a day so that you never have to wait for a ride to or from any important meeting or event. 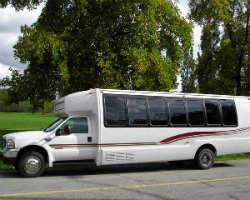 If you're arranging a night out with friends or a need to get a large group of people from one place to another, check out their large party bus, capable of seating up to thirty people in a manner that is both fun and safe. Miami Limos can make your next party or big event all the more special by helping you roll up to it in style. Anyone looking for a limousine rental in Miami will want to check out their extensive fleet of ultra-luxurious Range Rover, Escalade and Hummer limos. 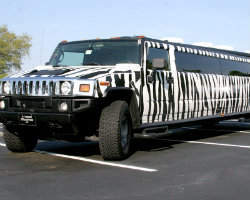 There are even a range of fun and unique specialty vehicles available like a zebra-striped or a pink Hummer limo that are especially popular for bachelorette parties, proms and Quinceanera celebrations. This is a full-service limo car rental company that can show you the sights of south Florida as you ride comfortably in style.